The Patriotic Front (PF) has commended the electorate of Kasenengwa constituency for voting its candidate Sensio Banda during last weekend’s by-election in the area. Mr Banda won the seat which had become vacant after the death of Victoria Kalima in June by accumulating 10,340 votes. 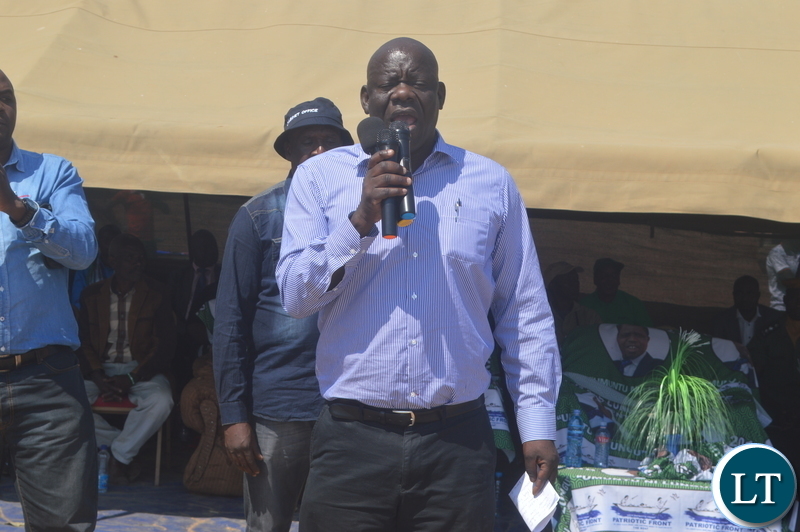 PF Secretary general Davies Mwila says this was because the electorate in the area were fully convinced that the PF government will bring them development and hence opted to vote for their candidate. ZANIS reports that Mr. Mwila said PF went in full force to campaign on the ground and thus convinced the electorate that it was only the PF that give them the needed development. He pledged that the PF will after this victory will work hard to fulfil its campaign promises. Mr. Mwila , in the same interview however advised United Prosperous and Peaceful Zambia (UPPZ) president Charles Chanda from alleging electoral misconducts after his party failures to win the seat. He advised UPPZ to go on the ground and re-organize themselves because the elections were free and fair. The Kasenengwa Constituency seat fail vacant following the untimely death of the incumbent Victoria Kalima in June, 2018. SO PF GOT ALL THE VOTES AT 100% WHAT WAS THE SCORE FOR THE UPPZ CANDIDATE MR CHANDA? ANY OTHER PARTIES PARTICIPATING AND WHAT OF A DR BANDA OF UPND WHAT HAPPENED AFTER HE RUN AWAY WITH UPND MATERIALS AND CASH? So, it is still bleeding? Where on earth is Kasenengwa?